Are you using a Jio Sim? 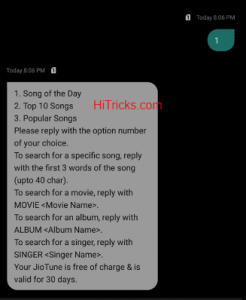 Did you know that you can set your favorite music as CallerTune for your Jio Number? That too for free of cost? 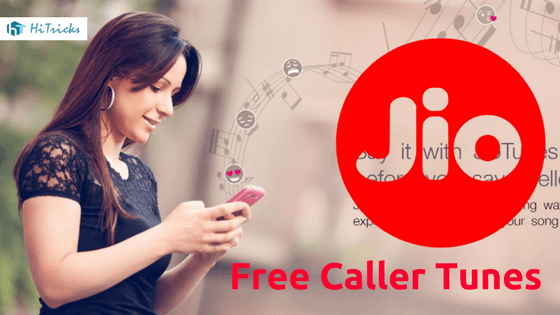 Yes, Jio has a service called the JioTunes service that allows any Jio user to choose his CallerTune. This is given as a complimentary benefit to all Jio Users for being on the network. For almost a year, Jio has launched its free services in India. 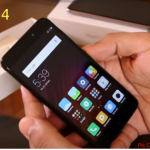 It is offering Free Calls, Free SMS, and Free High-Speed 4G Data via its Happy New Year Offer, something which no other telecom company has ever given to us. From 15th April Onwards, the Jio service is no longer a free service. But it remains a cheaper than the existing telecom operator rates. Users can avail the Jio Prime service and which gives them the extra privilege to continue the unlimited calls and the Internet from the Jio Dhan Dhana Dhan Offer. But, well, the good news is that the JioTunes service is still available which is completely Free of Cost. You can easily set your favorite songs as caller tune using this service. Let’s look into the features of this service. 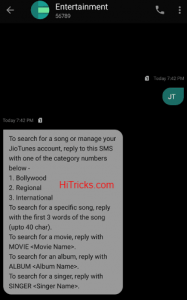 How to activate JioTunes on your Jio Number? Now let’s proceed to the steps to which you can subscribe to the JioTunes subscription for your Jio Mobile Number. This is a Free Subscription, and you won’t be charged for it. Well, before you select a song as your Jio Caller Tune, you need to activate the Caller Tune Service for your Mobile Number. It’s easy, and it will just need you to send a simple sms. You will get a reply message with instructions to set your JioTune. Now it will ask you to choose the song you want to set as your caller tune. If you want to choose from Bollywood Songs as CallerTune, Reply with ‘1‘ and send to 56789. If you want to choose from Regional Songs as CallerTune, Reply with ‘2‘ and send to 56789. If you want to choose from International Songs as CallerTune, Reply with ‘3‘ and send to 56789. If you want to select the Song of the Day, Reply with ‘1‘ and send to 56789. If you want to choose from the Top 10 Songs, Reply with ‘2‘ and send to 56789. If you want to choose from the Popular Songs, Reply with ‘3‘ and send to 56789. Afterward, it will show you the list of the songs which you can set as caller tune. Choose from the options given. Once you choose your option, it will ask for a final confirmation for which callers you want to select the caller tune. Select the option ‘1‘ for all callers and send to 56789. That’s all. You will get a confirmation message while your JioTunes service is started for your number. The validity of the caller tune service is 30 days, after which it will be automatically renewed for another 30 days (for free, of course). Then it will show the songs list for the movie which you can choose from. You can also search for JioTunes based on your favorite song album. It’s almost similar to searching based on Movie name, with a slight change in the SMS format. 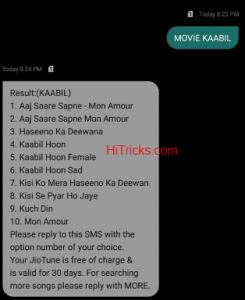 How to change your Jio Caller Tune? 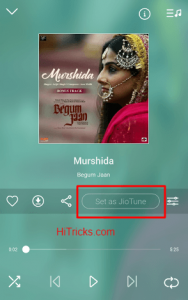 Changing your JioTune to any new song is easy, and you can do it instantly as many times as you want. Simply search for your song using the ways I described above and confirm to set it as your caller tune. Your old caller tune will be replaced with the new caller tune without any cost. If you change your mind again, you are free to choose any other song as your JioTune! Well, not only SMS, but you can also set Jio Caller Tunes from inside the JioMusic App. In fact, this way is much easier than sending sms and setting up. For this, you need to have the JioMusic App installed on your device. Open JioMusic App, and search for any song of your choice. Open that song play screen. You can see the ‘Set as JioTune’ button there. Refer to the image below. Click on it, and your JioTunes is set. How to deactivate / unsubscribe from JioTunes service? Unsubscribing from JioTunes subscription is very easy. Just send an sms ‘STOP‘ to 56789. The service will be terminated from your mobile. You will receive a confirmation message on your mobile number regarding the deactivation of the service. Optionally, you can also call 155223 and select the IVR option to deactivate your Caller Tunes service. But I recommend doing the sms. It’s hassle free. Here are some of the frequently asked questions about JioTunes from my friends. I have tried to answer them in brief. If you have more questions, kindly comment below, and I will add it up here. 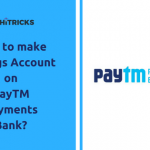 Q: Will my JioTunes service get renewed automatically? A: Yes, your JioTunes subscription is 30 days, at the end of which it will be automatically renewed for another 30 days. However, it will be free of cost. Q: Will JioTunes be Free of Cost lifetime? A: That is not known. However, if Jio decides to charge for JioTunes in future, Jio will send you an sms beforehand to notify about it. So, don’t worry about extra charges. Q: My friend uses a JioTune which I want to set as my JioTune. Is that possible? So, that’s all about JioTunes. So, enjoy your free caller tunes and surprise your callers. Don’t forget to share them this post so that they can also try out their caller tune. Use the social share buttons. Have any queries? Don’t hesitate to comment below. I will try my best to respond. Before ending my post, I would only say that the Jio Free Services are finally ending, and you should avail the Jio Dhan Dhana Dhan Offer to continue getting the unlimited benefits. Else your sim can get disconnected. I will be soon back with another exciting update. Till then, stay tuned!